The library and the computing laboratory house computers for access to the Internet and for computational work. The campus is equipped with Wi-Fi access that enables students to connect to the Internet from anywhere on the campus using their laptop computers. Pharmacy is a field that has many facets and an inter-disciplinary education is highly required to excel in today’s competitive world. 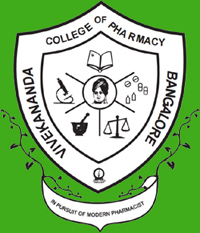 Vivekananda College of Pharmacy recognizes that students need to be taught about the latest developments in bioinformatics and related fields and encourages students to be educated along the same lines.